Rapid advances in AI technologies mean marketing automation is no longer optional. It’s a mainstay of modern marketing. 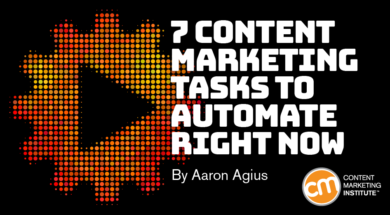 Not all content marketing tasks can or should be automated. No matter how far AI advances go, software will never replace a human for crafting an insightful and meaningful blog post. But as you go through your daily content tasks, it’s worth asking, “Can this be automated?” Chances are, many of them can. Let me help you choose the areas to automate to plan your approach effectively. You could write a great piece of content, but your readers won’t trust it (and many won’t even read it) if it’s full of spelling and grammar errors. It takes a lot of time to go through a draft with a fine-toothed comb to find and correct every mistake. 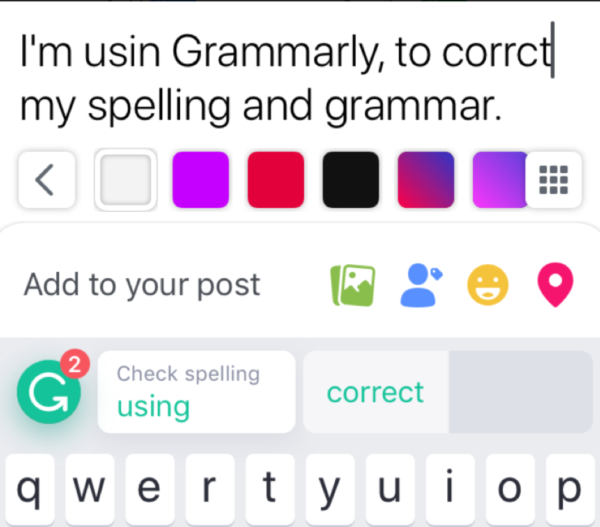 Tools like Grammarly can automate proofreading in a more comprehensive way than the usual spelling and grammar features found in Microsoft Word and Google Docs. The free Google Chrome extension offers basic spelling and grammar corrections in almost every place you write content across the web – web-based emails, social media updates, Google Docs, etc. The paid version ($11.66 per month) picks up more advanced errors and suggests enhanced vocabulary. It also can identify plagiarism to help make sure you don’t duplicate content. According to a recent survey from Econsultancy, email is the most effective channel. It helps you garner and follow up on leads and helps prospects through the sales and after-sales processes. But data shows that companies are spending far too much time producing emails. According to The Litmus 2017 State of Email Report, 68% of companies take at least one week to produce one email. With most companies reporting having one to five emails in production at any given time, that means a lot of time is spent just on email. Yet there’s an abundance of automation software to choose from, including BuzzBuilder Pro and Mailchimp. Taking into account the testing of content and subject lines, cold lead generation can take months to execute. BuzzBuilder Pro helps automate and speed up list building. It helps craft personalized cold emails and integrates with your LinkedIn account to send follow-up emails. Other features include a web form builder, social media marketing, and hot lead alerts. From a simple “Thank you for signing up for our newsletter” to “You have items in your shopping cart,” emails offer you an opportunity to keep your customers informed and engaged. 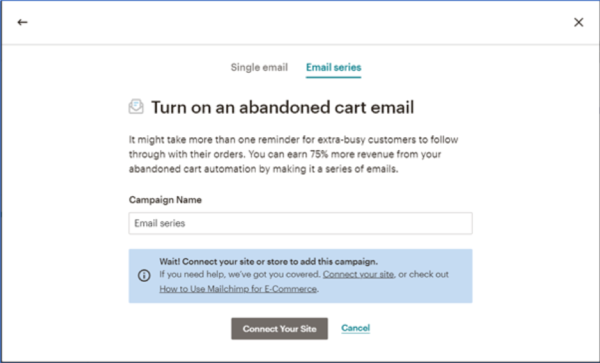 Mailchimp is up there with the best of the automated email software. It lets you store thousands of contacts at a time, segment and A/B test them, and create campaigns that you can save and reuse later. It also lets you schedule your email send times to get the optimal open and click-through rates. Its automation feature lets you set up complex workflows based on triggers so your customers receive the right kind of email at the right time. BONUS TOOL: GetResponse (pricing starts at $15 per month) covers much of what Mailchimp does (email workflow automation, triggered events and emails, and lead nurturing). But it’s expected to introduce a CRM feature to allow brands to measure their relationship with their customers in the same place they automate their email workflow. Promoting your content via social media is another time-consuming task, especially if you manage several platforms at a time, from pinning to Pinterest, to tweeting via Twitter, to uploading to Facebook. And that doesn’t include the time to “like” and share other content. Platforms like Buffer are great for bulk-uploading your content in advance and scheduling it to send out to your various social accounts. 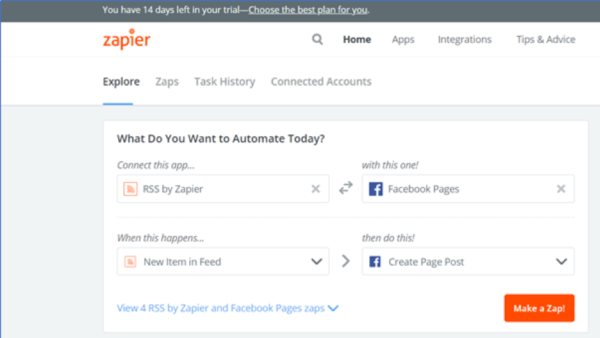 Integrate it with Zapier and this process can be automated. Once you set up your Zapier account, you link it to your social media profiles. You also need to set up your RSS feed. If you need help with RSS, read this guide. Click on the “explore” tab to set up your cause-and-effect triggers. In the following example, when a new item is published to my blog, it’s automatically posted to my Facebook page. Set up a few cause-and-effect triggers so each time you publish a blog post it automatically gets promoted on your social media. IFTTT (If This Then That) is a go-to for any marketer wanting to automate content workflow. Since its 2010 launch, it’s been free. The automation possibilities are almost endless. 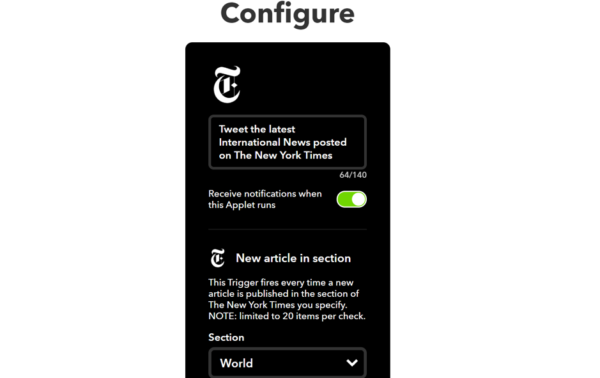 IFTTT lets you connect your online “services” (e.g., social media accounts, WordPress blog, Gmail account, Google Calendar, and even other external blog RSS feeds) and set up condition statements (applets) that trigger an automation. Sync your WordPress site with social media so when you post a new blog article it immediately shares to your social profiles. Sync your Instagram and Pinterest accounts so every time you post a photo on Instagram, it is shared to one of your Pinterest boards. Sync your YouTube account to social media so every time you upload a new video, it posts to your social profiles. Google Analytics lets you set up custom reports to automatically send updates on the data you want to focus on. It can be helpful to identify what content is getting the most engagement and pinpoint content areas that drive the most traffic and conversions. Content marketing is time-consuming work that requires daily input if it’s to bring any kind of ROI. And time, as we know, is money. But, thanks to advances in big-data technologies and AI, automation is more cost-effective and user-friendly than ever. If you want to streamline your content ideation, creation, curation, and promotion, then it’s time to automate. And better still, automate your analytics so you’re receiving regular and accurate insights into how your content is performing. 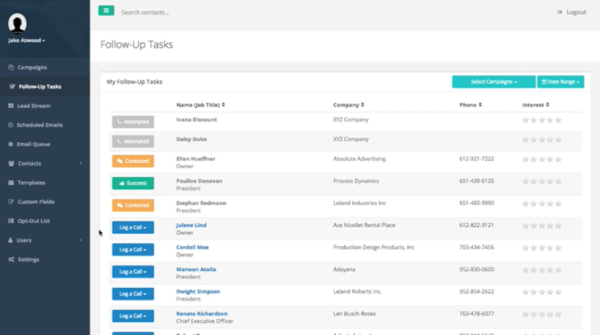 With these tasks automated, you’ll be freed to do more strategic work. Knowing that a lot of your content marketing is ticking on by itself will give you the breathing space to think about new and creative directions in which to take your content marketing. What tasks do you automate? What tools have you found helpful? Please share in the comments. Automate your education in content marketing. Subscribe for the free weekday newsletter from the Content Marketing Institute.